She tells you about how big the market for beauty products is, and how great the products they sell are, and how, because the company spends more than 90 percent of its money on making the products and less than 10 percent of staff, distribution, and marketing, the company is extremely efficient and therefore able to generate an impressive return on investment. Would you invest? Of course you wouldn’t. Yet every year thousands of people donate to charities like Amnesty International, Greenpeace, Save the Children and the Human Rights Campaign because they were asked to, on the street, by someone they’d never met and will never see again. You wouldn’t buy stock in GE, IBM or Apple if it were sold on the street, would you? So why invest in making the world a better place that way? Most people, I daresay, give away their money without doing the kind of due diligence you would hope they do when investing in a company. 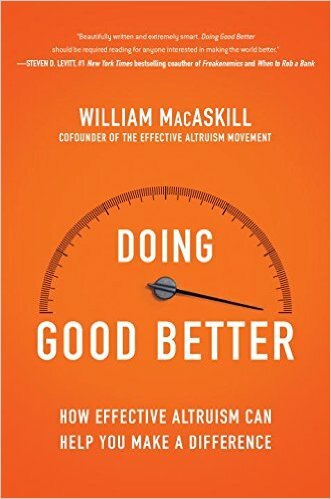 In a new book called Doing Good Better: How Effective Altruism Can Help You Make a Difference (Gotham Books, $26.95), MacAskill, an associate professor of philosophy at Oxford and leader of the Effective Altruism movement, aims to change that. His book is a thought-provoking introduction to the principles of Effective Altruism, as well as a practical how-to guide that will help you to do good better. 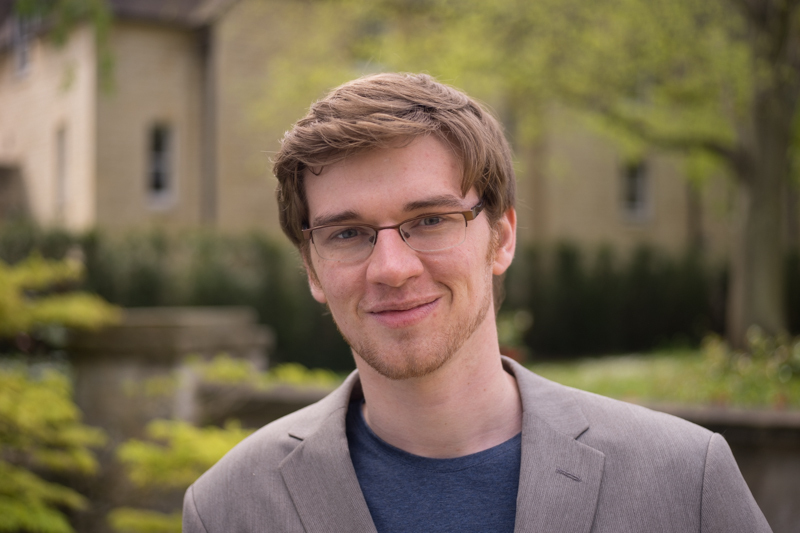 Effective Altruism, MacAskill explains, is about asking, ‘How can I make the biggest difference I can?’ and using evidence and careful reasoning to try to find an answer. Unlike Peter Singer, the philosopher and intellectual father of Effective Altruism, who tends to emphasize the moral obligations of rich people to use their resources to help others, MacAskill emphasizes the incredible potential of this new movement to make a difference. If you earn more than $52,000 per year, speaking globally, you are the 1 percent. If you earn at least $28,000—that’s the typical income for working individuals in the United States—you’re in the richest 5 percent of the world’s population. Even someone living below the US poverty line, earning just $11,000 per year, is still richer than 85 percent of the people in the world. …because of that economic progress, we live at a time in which we have the technology to easily gather information about people thousands of miles away, the ability to significantly influence their lives, and the scientific knowledge to work out what the most effective ways of giving are. For these reasons, few people who have ever existed have had so much power to help others as we have today. Effective Altruists — though they weren’t called that at the time — began to get organized in 2009 when MacAskill and Toby Ord, who is also a philosopher at Oxford, formed an organization called Giving What We Can to encourage others to donate a “significant proportion of their income” – typically, 10 percent – to cost-effective charities. (It’s an everyman’s version of the for-billionaires-only Giving Pledge.) For his part, MacAskill, who is 31, has pledged to give away all of the money he earns above the median income in the UK, adjusted for inflation (and for child care costs, should he choose to have kids). Giving What We Can now has more than 1,100 members who have pledged more than $450 million and given away $8 million so far. If we don’t care about financial information when we buy products for ourselves, why should we care about financial information when we buy products for other people?….When you give a hundred dollars to a charity, what does that charity do with it? How are people’s lives improved as a result? MacAskill goes on to develop a framework to help donors at least try to figure out which charities improve lives the most with the donations they receive. It won’t work for every donor or every nonprofit–it’s very hard to measure advocacy, for example–but if it gets more donors to become more conscious and diligent when they give away money, that will be a step in the right direction. “Every one of us,” MacAskill writes, ” has the power to save dozens or hundreds of lives, or to significantly improve the welfare of thousands of people.” There’s no better time to start than now. Brilliant. Came here after searching your blog for “MacAskill,” was not disappointed. Reblogged this on See the Perfection.